Microsoft is now rolling new Windows Maps update version 5.1609.2581. The latest Windows Maps update adds the dark theme. 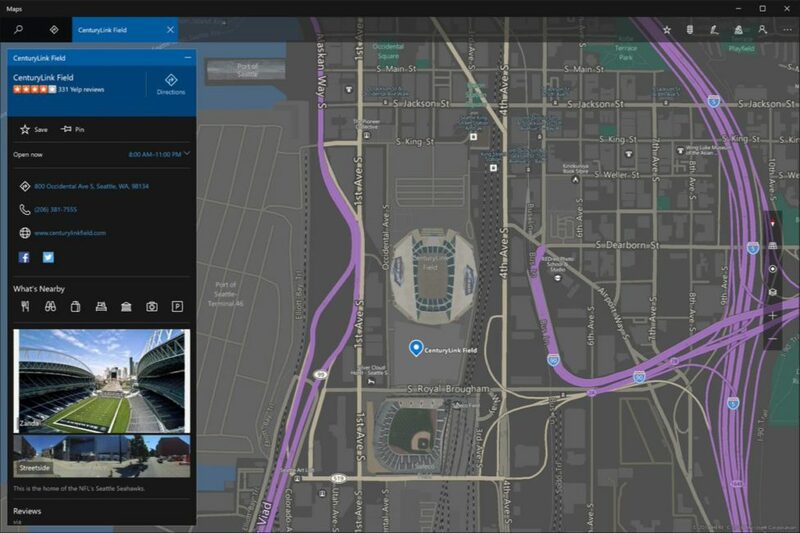 The Maps dark theme is now available on both Windows 10 PC and Windows 10 Mobile devices. Apart from the dark theme, the new app also added support for traffic hub. The latest Windows Maps version 5.1609.2581 is now available for Fast ring insider members. Enjoy dark or light app colors—they now change to match your system settings. If you prefer your apps to be dark rather than light you can now have the Maps app follow your system setting for theme preference or always be light/dark. Plus you can choose to change the map theme too. Quickly check traffic for your commute, including live cameras, where available. We have always treated your Home and Workplaces special and now you can check the traffic to your Home or Work locations at any time. Just tap on Traffic in the app bar and you can see traffic conditions to Home and Work and your most recently viewed traffic cameras so that you can stay on top of the road conditions along your route. The latest Windows Maps update will release to end users later. If you are a fast ring insider member, go check your Maps update.